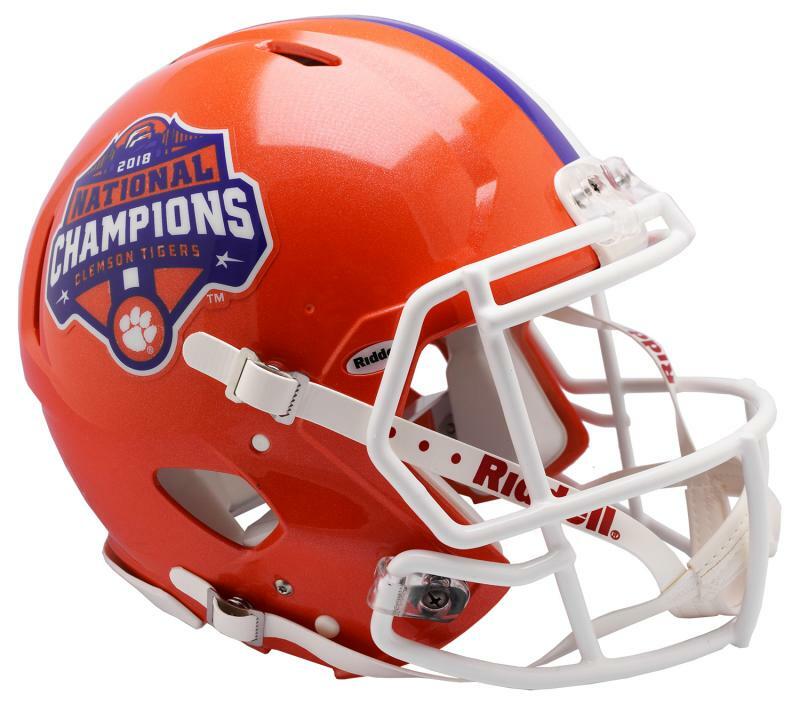 Clemson National Championship CFP Speed Authentic Helmet by Riddell - Login for SALE Price | Sports Memorabilia! Clemson CFP National Championship College Speed Authentic Helmet by Riddell. This special edition helmet features the National Champions 2018 logo on the right side of the helmet and the Clemson logo on the left side. What a great collectible from the January 7, 2019 game. Each Clemson Tigers Championship Speed Authentic helmet features a very distinctive, aggressive shell design, large size shell, special order facemask and four point chin-strap. All Speed helmets come with official team colors and decals. Also available in Replica Style.